A sequel to Indivisible: the fate of the nation hangs in the balance. 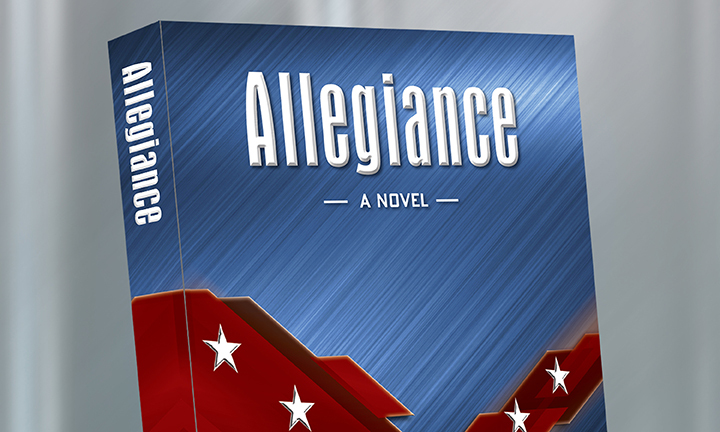 This fast-paced political thriller describes the struggle between home-grown insurgent elements and the federal government. Greed, a desire for power, and religious fanaticism combine to take down the federal government and break up the United States. The action moves from the ground assault to State Houses, where the issue of secession is raised for the first time since the Civil War. The nation stands in shock at the sudden attack on its capital. For the small but supremely competent team of federal agents and contract workers who learned about it, it was too late to stop. The perpetrators are an unlikely blend of very wealthy capitalists, religious fanatics, and disgruntled weekend warriors. David Blinder, the fulcrum of the movement, brings them all together in a move to decapitate the federal government while at the same time compelling States to secede from the Union. The goal is nothing short of replacing the federal structure with a new mixture of independent states and regions. The plans are executed simultaneously, and the attack is nearly flawless. As the attention of the nation and its defenders are absorbed by the unforeseen assault on Washington, parallel activity in the States is driving them toward secession as part of the master plan. The race is on to combat the attack and to counter the secession movements in key states. The President and his team track events closely across the nation. He vows not to allow the US breakup on his watch, he is working to stay ahead of the events. The US military, federal agencies, and political heroes figure prominently in this sequel to Indivisible; both books describe how things could go if current trends continue in the US. After the piercing whistle of the missile and the resulting explosion, a strange sense of quiet hovered over Washington, DC, for several minutes. To the shocked people near the Lincoln Memorial, which was the missile’s target, it seemed like a perpetual moment, the kind you couldn’t forget if you wanted to. Officer Carly Mason had just turned her squad car onto Henry Bacon Drive from Constitution Avenue, headed toward the monument. She not only heard the explosion but saw it through her front windshield. And felt it, both in the ground, which shook beneath her vehicle, and in her soul, which was trying to digest an attack on one of the most sacred sites in the capital. The ethereal silence was broken by the sound of rapid gunfire heard from some distance at first, but then getting closer. Officer Mason saw tourists and Washingtonians turning their heads from side to side. What are they doing? she wondered. Then she realized that her windows were closed and the air-conditioning was running hard. She rolled her window down so that she could hear better, and she knew immediately that they were trying to determine the direction of the gunshots. Sound is a funny thing in a built-up city like Washington. She pulled her car over to the side of the road and got out, straining to determine where the danger was coming from. Carly Mason and the vast majority of people in the District that morning knew nothing of the events that led up to the first attack on the capital since the War of 1812. Prior to this moment, only a few government workers were suspicious, tipped off by an improbable informant. Across the Potomac, Max Grabel, the CIA chief, was in his office. He was one of the few who knew. He learned just weeks prior to the attack that something was likely to happen, although he had no indication precisely what that might be. Max was also one of the first to understand that communications within the federal government had been compromised, and this sharply limited his ability to bring the full weight of the Agency’s resources to bear on the problem. Because doing nothing was not an option, he turned to trusted contract workers Samantha Stranger and Marie LeBrun. None of that seemed to make a difference just now, and the pain in the pit of his stomach took on a distinctly sour feel. What Samantha and Marie uncovered gave no comfort. They learned that a small group of fanatics had stitched together a grand conspiracy: to break apart the federal superstructure in the United States and replace it with autonomous states or smaller amalgamations of regional governments. They played on smoldering resentments based on race, religion, and the perennial American favorite: greed. These served as the groundwork for the insurgency, and modern technology and weapons development bequeathed to this small but influential group a fighting force many times as strong as absolute numbers suggested. The driving force behind the insurrection was David Blinder, a wildly wealthy scion of a self-made father; his brother, George, assisted him in the preparation for the final showdown. He was allied with Adam Wilson, an unscrupulous academic with broad connections among right-wing religious groups who believed they were seeing their faith attacked on every front. The Blinders were also connected with Abner Bellamy who, for deep personal reasons, found it his special mission to resurrect the old Confederacy in the South. The military muscle for this enterprise was provided by a group called the Sovereign Citizens. The SC paraded as a weekend-only group of obviously deranged “militants” who took part in weekly drills for the pleasure of doing so. Beneath the wing-nut façade, however, lay a powerful, disciplined, and deadly serious military organization put together by Winslow Parker, a West Point graduate and career US military until he switched sides at Blinder’s behest. When Max Grabel unleashed Marie LeBrun and Samantha Stranger to learn more about the conspiracy, he knew he was sending no insignificant force. They were two strong women with major skills in espionage, communication and technology, weapons, and counterinsurgency. They started in the Midwest, but their mission was soon uncovered by the insurgents. Samantha and Marie found that the rebellion was much further advanced than anyone anticipated. While tracking down those responsible, they came across Cherie Keenan, whose husband was part of the conspiracy until his gruesome death. Cherie had turned to Darrin McAlister, the police chief in tiny Rolla, Missouri, for help, and McAlister joined the investigation. To Officer Carly Mason and Max Grabel, it appeared the efforts of these patriots were in vain. They both saw the smoke rising from the Lincoln Memorial, they both heard the gunfire and knew more trouble was on the way. They both knew that in this moment they were being called to march toward danger, not away from it. The young police officer and the experienced CIA chief took deep breaths; both committed themselves to the fight; neither cared if they survived the sacred fight or not. It wasn’t personal. It was about the country they loved and served.